Home › News › Black school Governor: Thanks but no thanks! Black school Governor: Thanks but no thanks! Operation Black Vote have been encouraging Black men and women to become school governors for years. So when local community all rounder Desmond Jadoo informed us that he’d not only taken up our challenge, but he’d been successful we were delighted. He was thrilled to be able serve a community, a local school and be part of a Governing body that educates our children. Family and friends of Jaddoo were equally pleased. So, imagine the humiliation when Jaddoo turns up for his first meeting and his told, ‘Your not wanted’. When he politely protested that he’d got the certificate of approval, the racial stereotype was quickly thrown at Jaddoo, ‘'Please don’t get aggressive. I know your angry’, he was told. 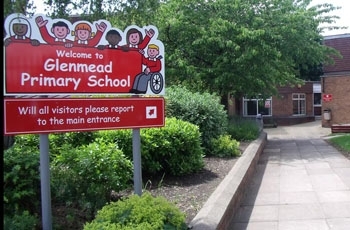 A cursory glance at Glenmead Primary School indicates that there are 17 board members, two are from African or Caribbean backgrounds. Of the nearly 40 staff, there is only one Caribbean teacher, who, incidentally said hello to Jaddoo as he arrived for what he thought was his first meeting. The school have steadfastly refused to talk to us about anything, including the diversity of the pupils, the teachers, and the governing body. However, the populaton census of the two surrounding areas suggest that the BME population on one side of school is near 20% and on the other side near 50%. In many ways the make up of the pupils is not the over riding factor here, it is rather the way an individual who offered his time on a voluntary basis can be so shockingly treated. There are other troubling aspects to Jaddoo’s experience: It’s difficult enough encouraging Black individuals to become school governors, being treated with such contempt hardly encourages more to come forward. Even more worrying. If an adult can be treated in such a manner how are our children being treated, particular, if, as occurred with Jaddoo, their complaint is very quickly racially stereotyped. The local Authority has promised an investigation into what they describe as a miscommunication. The Glenmead board of Governors should sincerely apologise to Desmond Jaddoo, and welcome a would-be school governor who is committed to raising standards at the school and help give all their children the best start in life. Sadly, I can’t see that happening. This will be to the detriment to the school and its pupils.